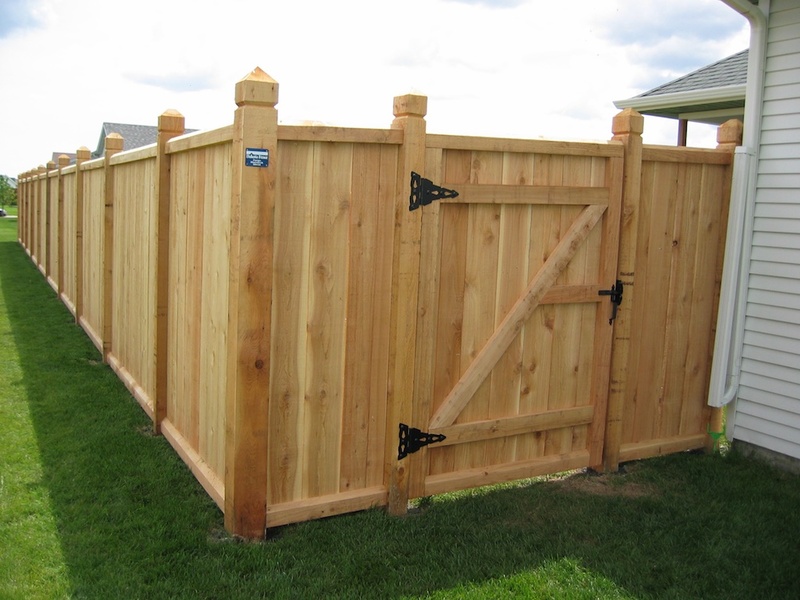 The classic beauty and rustic appeal of a Cedar Wood Fence is hard to beat. 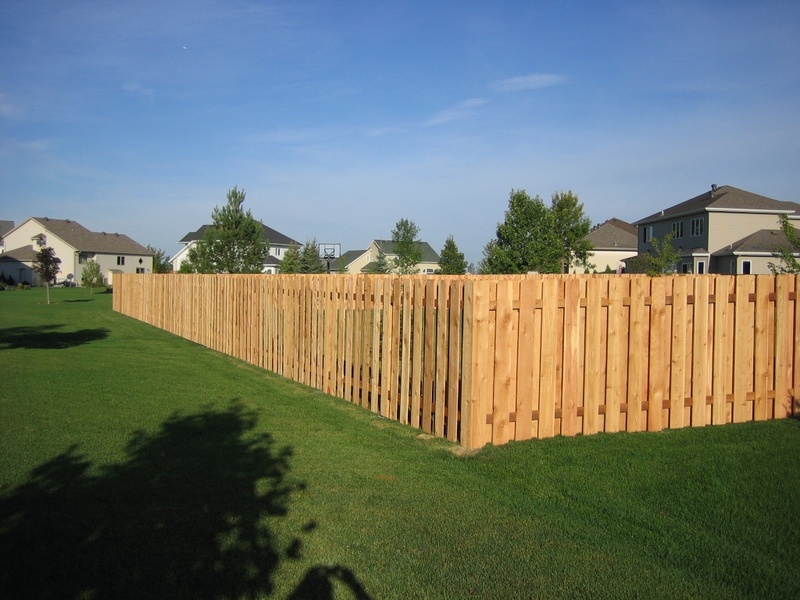 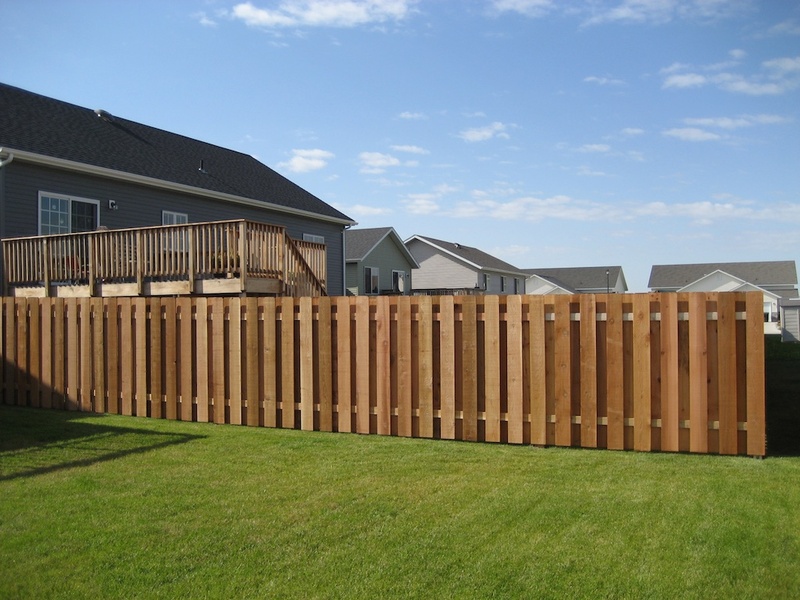 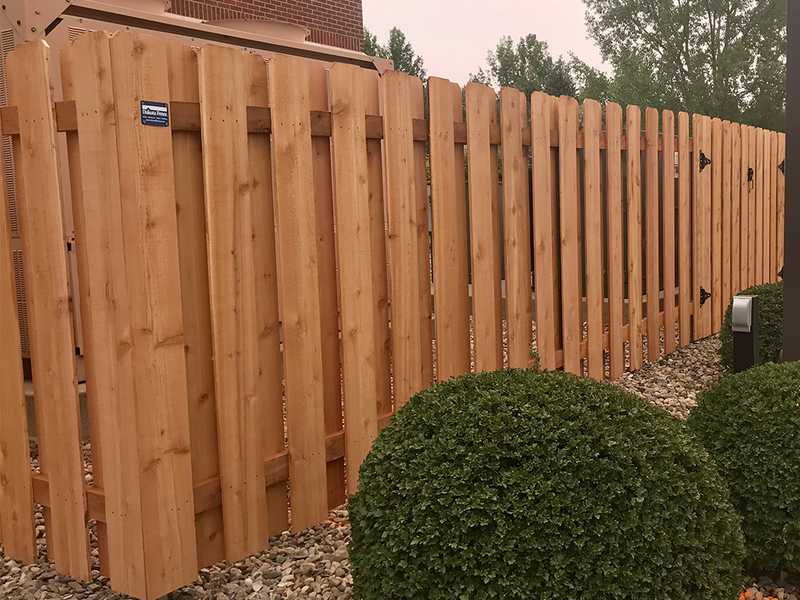 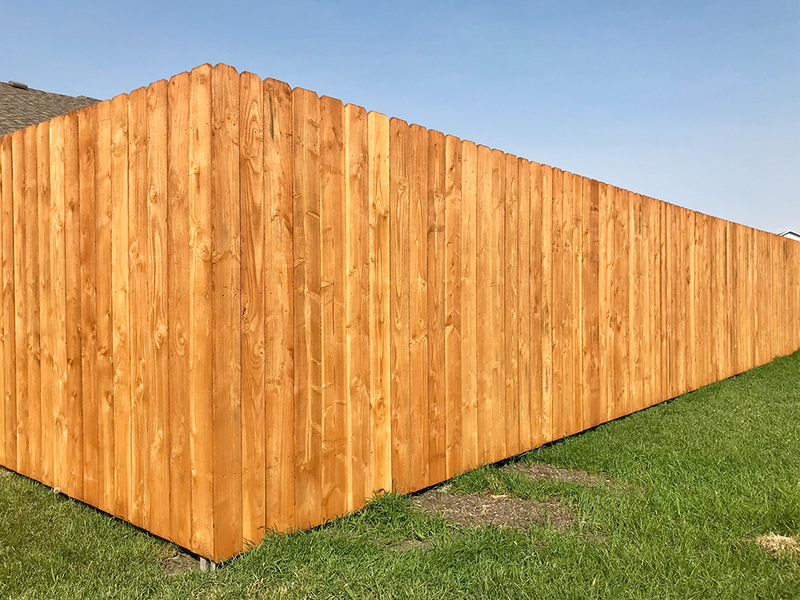 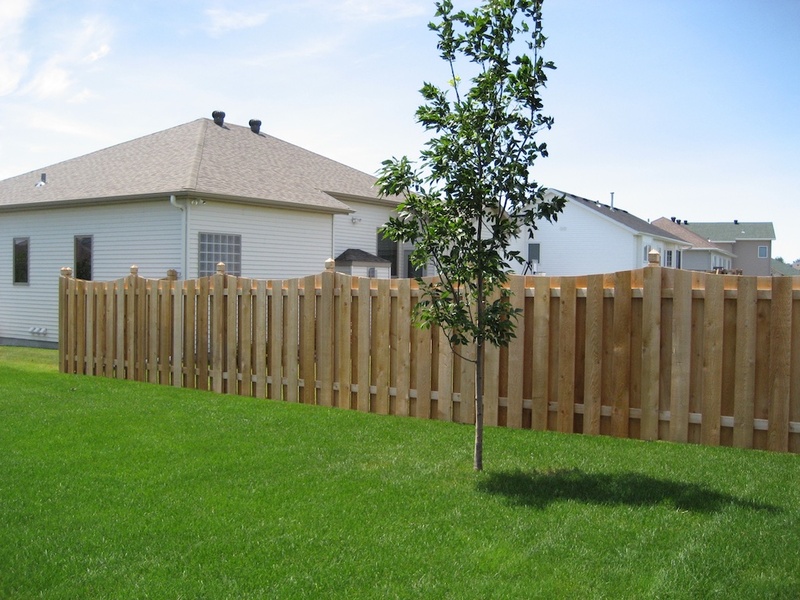 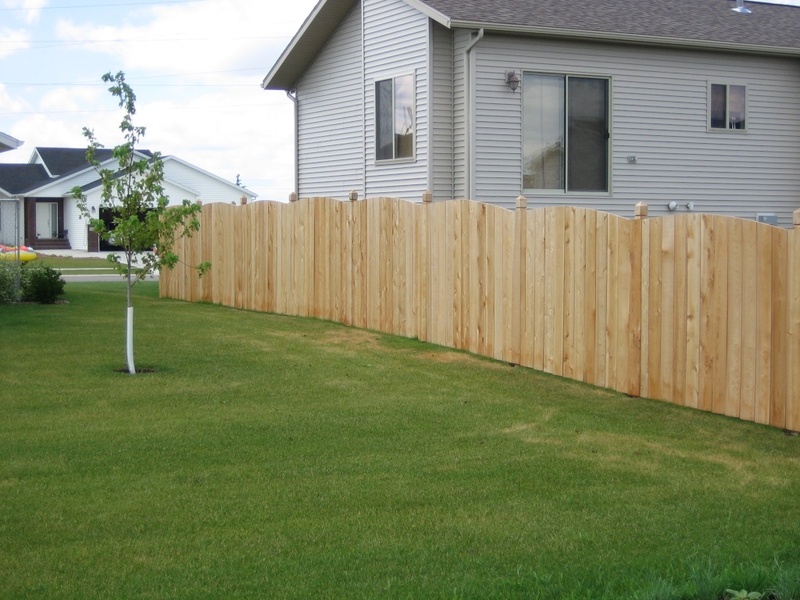 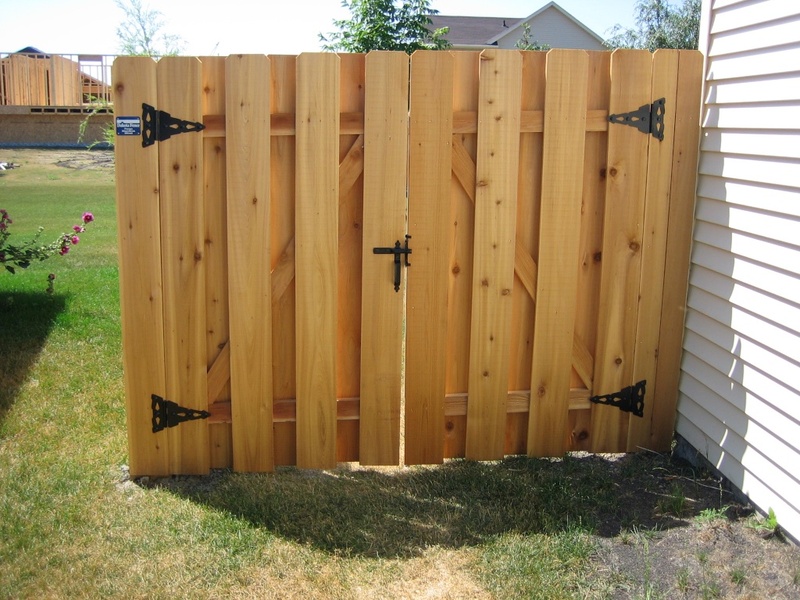 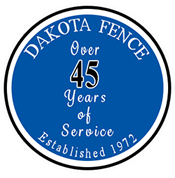 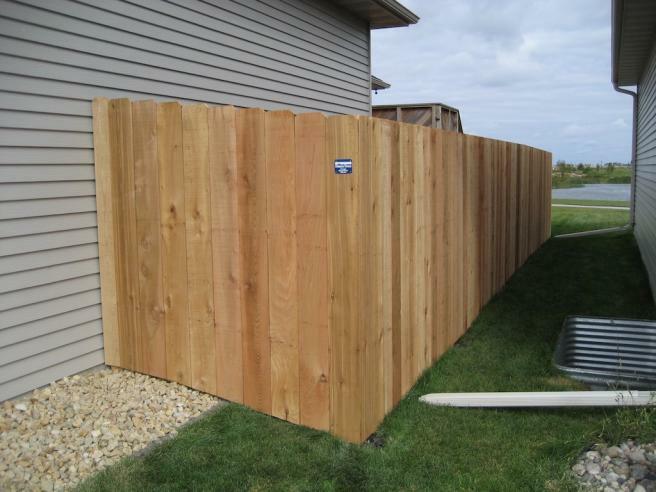 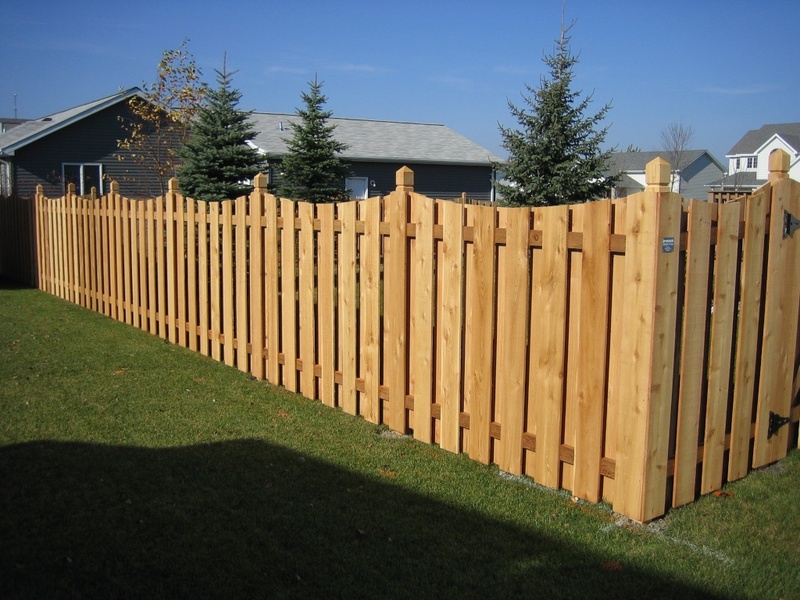 Dakota Fence uses Western Red Cedar Wood because it is naturally preserved against rot and infestation. 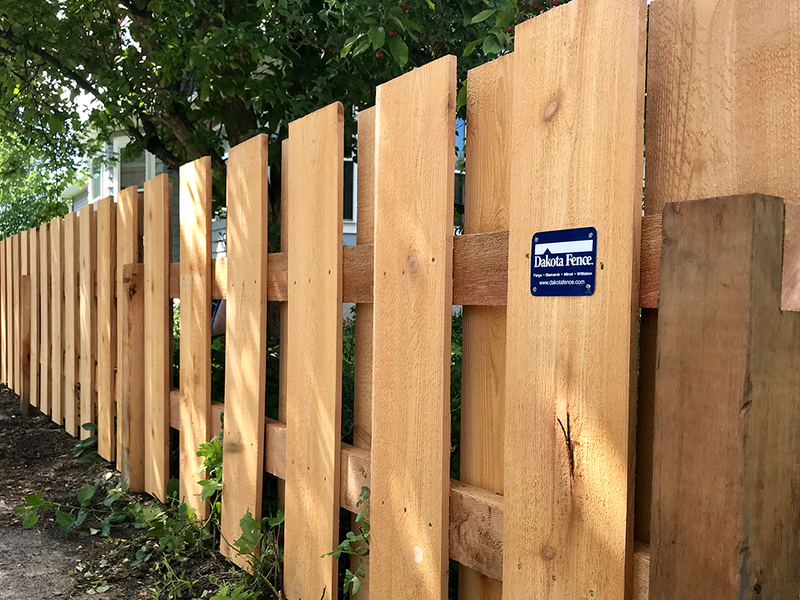 Framing - 2x4s are framed on end and flush with the face of the post, they are toe-nailed top and bottom with 16-penny, glue-dipped, galvanized nails. 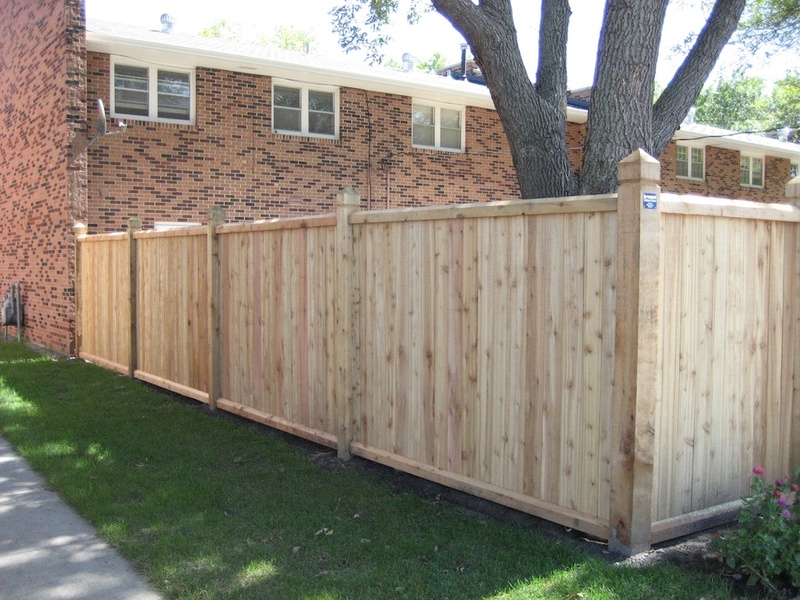 Aluminum Ring Shank Nails – 6 glue-dipped, 8-penny, aluminum ring shank nails are used on each board. 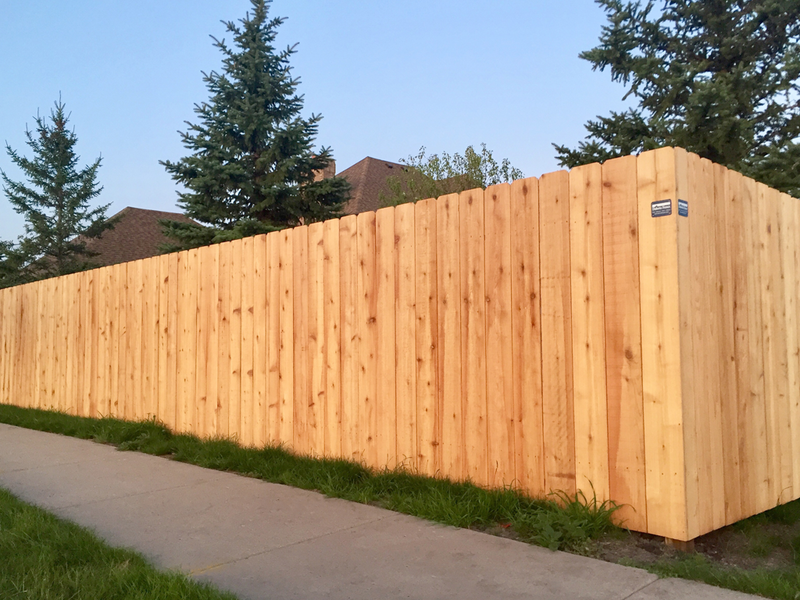 Concrete Footings - 4x4 posts are set 8' on center into a 9" diameter concrete footing with nearly a wheelbarrow full of concrete on each post.